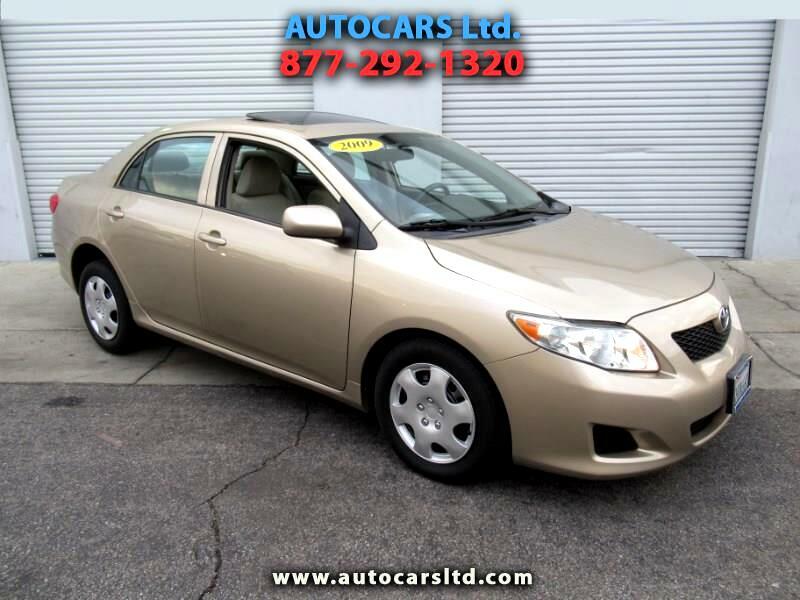 Used 2009 Toyota Corolla LE 4-Speed AT for Sale in La Puente CA 91744 AUTOCARS Ltd.
$147.00 a Month On Approved Credit. Click "Apply Online" on our HomePage. All Credit Welcome. Clean TITLE, Clean CARFAX, NO Accidents *** 2009 TOYOTA COROLLA LE *** AUTOMATIC *** POWER EVERYTHING including CRUISE CONTROL and FACTORY MOONROOF *** VERY SHARP and CLEAN with LOW and ACTUAL MILES *** Comes with 18 SERVICE HISTORY RECORDS *** We have EASY FINANCING and Welcome ALL KINDS of CREDIT *** Multi-Point INSPECTION PERFORMED On Every Vehicle *** (We Pay Top Dollar for your Car, With or Without Trade-In) *** ALL OF OUR CARS ARE ALWAYS PRICED RIGHT IN A HASSLE-FREE ENVIRONMENT *** (PLEASE CLICK and LOOK AT OUR PHOTOS, THEY SPEAK FOR THEMSELVES) *** Please give us the chance to Earn your Business *** Call Us today, we'll make it easy !